The UK Ministry of Defence has said its serving and former personnel cannot live in constant fear of prosecution. 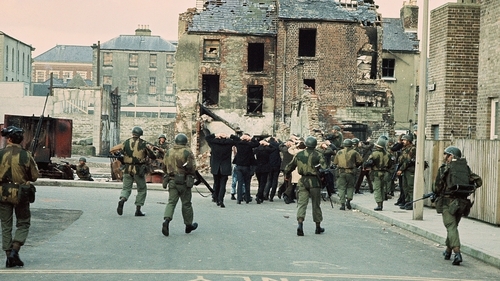 In a statement following the decision by Northern Ireland’s Public Prosecution Service to charge one former British soldier with the murder of civilians on Bloody Sunday in 1972, the Ministry said the British government will urgently reform the system for dealing with legacy issues. The UK’s Defence Secretary said the individual affected by the ruling will be offered full legal support. Gavin Williamson confirmed the Ministry of Defence would support 'soldier F' and pay the legal costs. "The welfare of our former service personnel is of the utmost importance and we will offer full legal and pastoral support to the individual affected by today's decision. This includes funding all his legal costs and providing welfare support. "And the government will urgently reform the system for dealing with legacy issues. Fourteen people were killed when members of the Parachute Regiment opened fire on a civil rights march in January 1972. Northern Ireland’s Public Prosecution Service considered whether there was sufficient evidence to bring charges against 18 former soldiers, one of whom has since died. Today it said one former British soldier, referred to as Soldier F, will be charged with the murders of James Wray and William McKinney. He will also be charged with the attempted murders of Joseph Friel, Michael Quinn, Joe Mahon and Patrick O'Donnell. The decision means the PPS believes there is sufficient evidence to provide a reasonable prospect of conviction, and that prosecution would be in the public interest.